Waynes Word on Web: Heir Apparent or Presumptive? Some are born to rule and others have leadership thrust upon them. 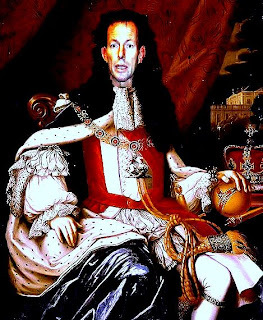 In Australia we are privileged, in the sense that, the divine right to rule was never a part of our history except in the remote, via Britons paternalism. We like to think of ourselves as an independent lot ,even though England was responsible for our transplantation to the southern hemisphere. Therefore if a group can lay claim to privilege, it is because of their long term association with the growth and development of our nation. Take for instance the Church of England or the Roman Catholic Church, they have had a long and influential history exerting authority here in our Antipodean abode, but no one would dare to seriously suggest either should have the right to civic governance nor unchallenged policy proclamations for the country. If the laws concerning the separation of powers between church and state weren't established then it wouldn't be inconceivably that at some point, in the past, the Archbishop of Canterbury or the Pope could have been our God given head of state. But this, of course, never eventuated. In reality, we have the Labour Party and the Liberal / National coalition and to some factional devotees, the progression to leadership in either of these powerful organizations is no less in importance than when the puff of white smoke appears over the Vatican. Without the approval of the majority of citizens a party faithful can rise with in the ranks and go on to ultimate rule, if the divinations of the party room are accurate. Now I think, if most Australians would be horrified of fifty one percent of voters becoming Muslim and installing an Ayatollah as PM, or even fifty one percent becoming born again Christians and installing Benny Hinn as President, then we should be just as outraged when fanatical party faithfuls behave in a manor that suggests, if they get fifty one percent of the vote then their particular Guru has a mandate to dictate to the country as a whole as if we all voted for them. With the advent of the New Paradigm staring us in the face, there are those who are happy to see the diffusion of power beginning to emerge and there are those who can't wait to get back to the old system of Divine Right to Rule. While your particular needs maybe presented to you as best being served by one party or the other, don't make the mistake of thinking all can be represented by one perspective and no matter how much you like the current incumbent, the next Heir Apparent may not be your cup of tea.